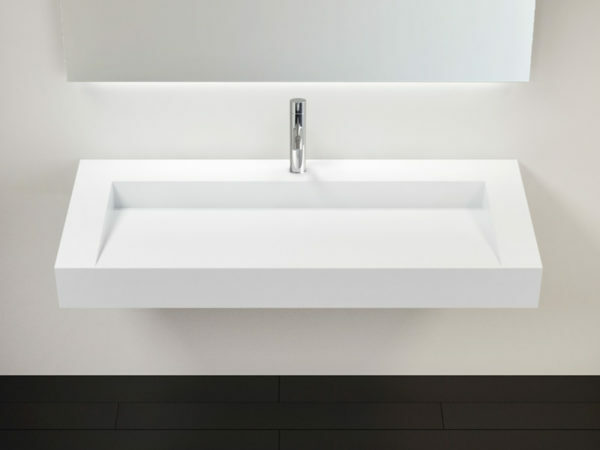 Featuring modern artistry and constructed of choice materials, the WAT-02-M wall mounted sink faucet will provide your bath with a harmonious blend of serenity and modern sophistication. This stainless steel faucet set is precision manufactured in Italy for an outstanding build-quality. The 304 stainless steel is a brushed finish and is matte in appearance. -Stainless Steel construction (Does NOT contain brass) with a brushed finish.